Cameron, Gary. July 2016. Photograph. Reuters. Centre Pompidou. 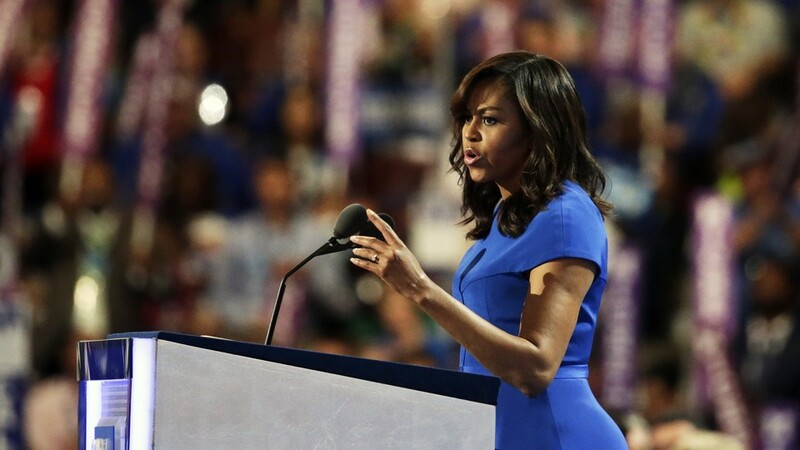 “The History.” https://www.centrepompidou.fr/en/The-Centre-Pompidou/The-history.Michelle Obama speaking at the 2016 Democratic National Convention. Who is Mary McLeod Bethune? How was Josephine Baker politically active? It’s okay if you don’t know the answer to either of these questions…you’re about to find out! In addition to learning about Mary McLeod Bethune and Josephine Baker, this walking tour will also teach you about Sally Hemings, Mary Church Terrell, Eslanda Goode Robeson, Angela Davis, and Michelle Obama. These women have many things in common but the three qualities uniting them all are gender, African-American heritage, and time spent in Paris. These Black women have had a significant influence on politics and political movements throughout time, yet they have often fallen to the sidelines. This tour highlights their accomplishments while taking you by some of the most iconic places in Paris, like Place de la Bastille and the Louvre. At each stop, you’ll learn about one of these women’s time there and why history should have done a better job in remembering their work. At the end of the tour, we’ve recommended two fun locations to give you a taste of African culture within France today! This tour will take you all over Paris, so we’ve included directions using the Metro. If you’re only planning to use the Metro for one day, we recommend purchasing the bundle of ten tickets for 14,50 euro, instead of an individual ticket which costs 1,90 euro. If you’re in town for more than one day and plan to use the Metro more than 14 times, we suggest purchasing the Navigo pass. The card itself costs 5 euro, requires a photograph, and costs 22,15 euro to be active from Monday to Sunday of one week. While there are directions for how to walk to and from the Metro stops, we recommend using Maps on your phone because some Parisian streets are not well-labeled. If your phone is charged and you have your walking shoes on, press “Start Exploring” below to begin learning about the relationship between Paris and the political works of these amazing African-American women! This is an interactive map that guides users through the City of Paris while explaining the importance of relevant locations and the historical events that occurred there. By accessing this map, readers gain an in-depth understanding of the stories of Black women in Paris. From Sally Hemings to Michelle Obama, this story map discusses African American women’s stories in the City of Light. Black women’s work reverberates through the city today, and its importance shines throughout American and French history. This timeline explores the primary sources used in order to craft this story map. The letters, diary entries, articles, and photographs enclosed show the vestiges of the lives and triumphs of great women. Primary sources are essential to perform primary research. These primary sources allow readers to find meaning and interpret events in order to discover the stories of African American women in Paris.